HealthMap is an automated electronic information system that monitors data from electronic media sources (e.g. social media, government websites, physician social networks) in order to visualize and foster an understanding of infectious disease outbreaks around the world. The system is credited with recognizing the current Ebola epidemic in West Africa nine days before the World Health Organization was able to do so (see: http://www.politico.com/story/2014/08/healthmap-ebola-outbreak-109881.html?hp=l8). 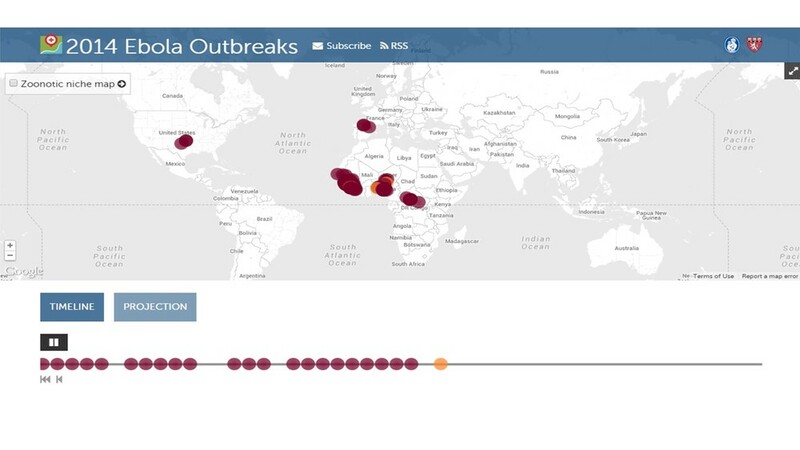 Here you can access their visualization of the spread of Ebola across West Africa, and later into Europe and the United States: http://healthmap.org/ebola/#timeline.